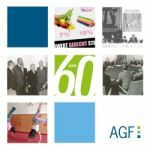 AGF "EuropaNews" gathers the news in the field of family politics from the European level and the EU member states (excluding Germany) from a German perspective. The news aim to bring the news from Europe to Germany, so unfortunately they are only available in German. These are the issues that have been published this year. Older issues can be found in the archive of the EuropaNews. Privacy Rules: Providing your name and institution is not required but can help us to taylor the newsletter to your needs. Providing your email address is necessary for sending the newsletter to you. The information provided by the user is only stored for the purpose of sending the newsletter to the user. No data is transferred to third parties, unless we are obliged to keep for administrative, legal, or security purposes. Nor is any of this information matched to any information that may be collected by other components of our website. The data is transferred encrypted by the webhost provider (located in Germany). Your data will be deleted as soon as you cancel your order of the newsletter and legal requirements for storing data are fulfilled. 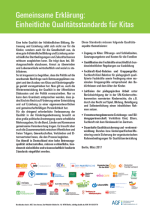 The newsletter contains information about family policy in the European Union, our activities and us. By using the order form you agree to the above described collection and use of your data. You may withdraw your approval any time as well as request to access, correct, amend or delete information we hold about them by contacting us. 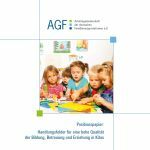 Responsible for processing your data is the Arbeitsgemeinschaft der deutschen Familienorganisationen (AGF) e. V., Karl-Heinrich-Ulrichs-Strasse 14, 10785 Berlin, Germany, phone number: +49 (0)30/2902825-70. The legal basis for this are the European General Data Protection Regulations (GDPR), Article 6 (1) (a). For further details please see our complete privacy rules.